Door to Door Transfers between Aqaba Airport and Aqaba, Amman Airport and Amman, and other points in Jordan and beyond including Petra, Wadi Rum, Eilat, Aqaba, Taba, Jerusalem, Tel Aviv. Dead Sea, and more. 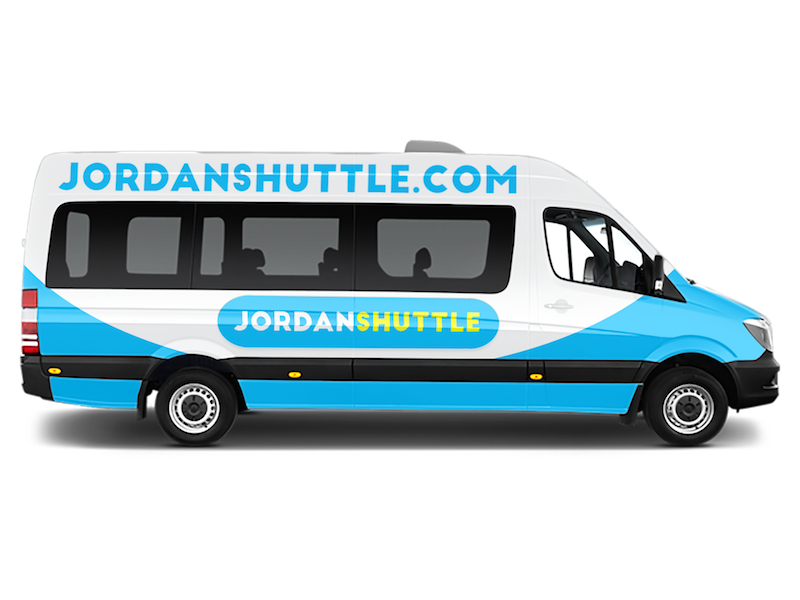 Jordan Shuttle offers the only door to door shuttle between Aqaba Airport and Aqaba, Amman Airport and Amman City Center, and other points in the region including Petra, Wadi Rum, Dead Sea, Aqaba, Jerusalem and back. Our Aqaba Airport to Aqaba City Shuttle will meet you outside the airport terminal, and drop you off at your hotel in Aqaba. On the way back, we'll pick you from your hotel and bring you to the airport in time for your flight. Our Amman Airport to Amman Airport Shuttle will similarly meet you outside the passenger terminal, dropping off at all major hotels in the center. For groups or families, we also offer a private transfer service between Aqaba Airport and Aqaba City, Amman Airport and Amman, and to other places including Petra, Wadi Rum, Dead Sea, Jerusalem, Tel Aviv, and more, and tours across Jordan, Israel, and Egypt including Petra, Jerusalem, Dead Sea, Cairo, and more. What are your plans in Aqaba or Amman? Add a fantastic tour to your Aqaba or Amman vacation!